Assuming you haven’t been tweeting under a rock recently you’re prolly aware of Google’s aggressive run at the local business market. (Its Places offering and Interior store view endeavor for example). 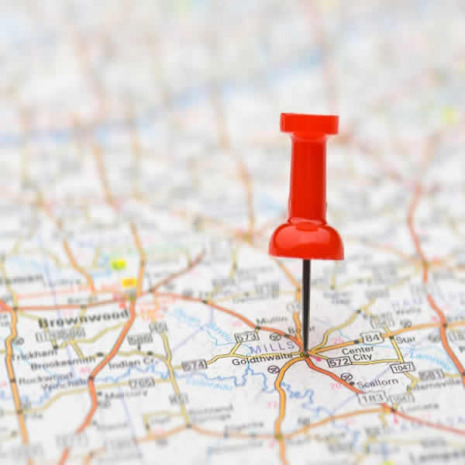 And as geolocation departs from trend to basic need and digital desire many a digerati have found themselves hunting for more out of the geo-apps they rely on. (Personally, I’ve been using Foursquare by proxy through Instagram because of its robust photo sharing feature, for example). 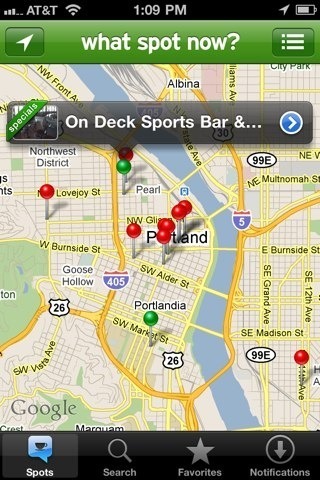 WSN currently has 11 Portland locations you can view from your phone before leaving your home. Portland residents will recognize such names as Saucebox Café & Bar, Bridgeport Brewing Company: Brewpub, 23 Hoyt Restaurant & Bar, The Someday Lounge, Schmizza Pub & Grub, Backspace, On Deck Sports Bar & Grill, Bo Restobar, Bailey’s Taproom, La Costita on Barbur, and the Crown Room. Im big on this one, Portland. You’re privy to exciting technology that might very well change the way patrons and venues think about the age-old concept of “happy hour”. 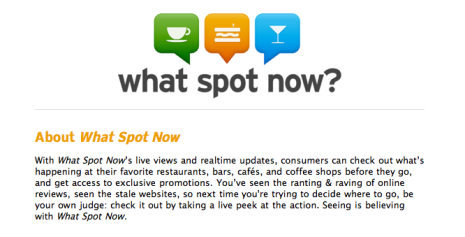 Kudos to Spotlight Mobile. WSN is a slick way to discover nearby venues and a practical alternative to the location-sharing services offered by Foursquare or Facebook. Its a sure hit if you can keep that WiFi network in place. Keep it comin’.